Evaluation of zooarchaeology’s quantitative units known as NISP (number of identified specimens) and MNI (minimum number of individuals) during the last three decades of the twentieth century suggested neither provided ratio scale measures of taxonomic abundances. Many researchers at that time began to use NISP as often as MNI to measure taxonomic abundances. 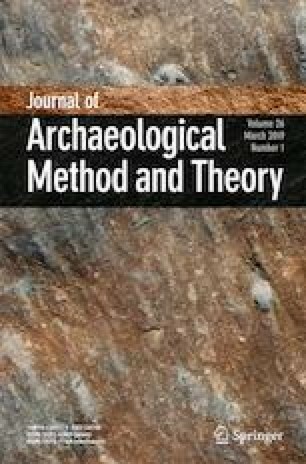 In part because of a desire to determine the composition of human diet more precisely, and in light of the fact that different taxa have different numbers of identifiable bones, four zooarchaeologists have, since 1990, used assemblages with known ANI (actual number of individuals) to evaluate whether NISP or MNI provides the most accurate measure of ANI. ANI data from ethnoarchaeological and historical contexts suggest taxonomic abundance data quantified as NISP or MNI are ordinal scale at best, something previously shown to be highly probable. Experimental data used to evaluate the accuracy of NISP and MNI as measures of ANI are either inappropriate or not designed to assess which quantitative unit produces the most accurate measure. A new quantitative unit proposed as an alternative to MNE (minimum number of [skeletal] elements)—the NDE (number of distinct elements)—is said to provide proportional abundances of taxa but demonstrably undercounts skeletal parts and fails to provide ratio scale abundance data. Helpful comments by five anonymous reviewers, particularly the two with very sharp eyes and pencils, helped me polish the text.